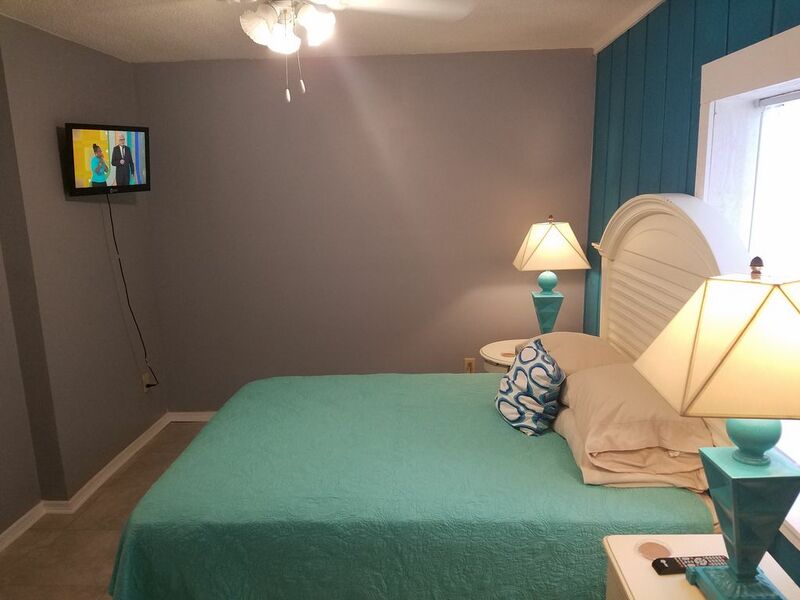 Welcome to Pablo Beach Vacation Rentals! LOCATION Neptune Beach. 1 mi to the ocean. Shopping, restaurants, nightlife, and beach are all a quick bike ride away! Beachy and refreshing home away from home. 1 MILE TO THE OCEAN - 1.6 MILES TO DOWNTOWN NEPTUNE BEACH - 0.8 MILE 3 MIN TO JARBOE PARK AND THE SATURDAY BEACHES FARMER'S MARKET - BIKE TO EVERYTHING! Smart TV with Netflix and local digital channels. no cable. Prices are firm. Pet policy - one dog only. No cats. $50 of pet fee will be retained for carpet cleaning. Remainder will be refunded as long as there is no pet damage.